Emotional Intelligence (EI) has become a global phenomena due to its far reaching implications for individuals, groups, and society as a whole. The multidisciplinary nature of EI and its relevance to interpersonal relationships allows for its broad application to numerous fields. The 2013 congress will bring together leading researchers and scholars from around the world to share current studies and creative applications of EI. There will be several keynote presentations by world renowned experts and originators in the EI field. In addition to poster sessions and individual paper presentations there will be extended expert sessions that will provide more focused and in-depth discussions on various areas of EI development, research, and application. The PRE-CONFERENCE WORKSHOPS (on Saturday September 7th) for researchers and practitioners will provide professional training certificates from the association. 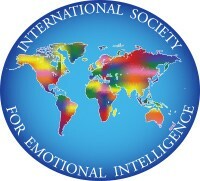 The ICEI 2013 will serve to inaugurate to newly formed International Society for Emotional Intelligence (ISEI). This international association is the foundation organization for the congress and provides publications and education to advance the field of emotional intelligence. ISEI is also a network for international research collaboration.